Fire Station No. 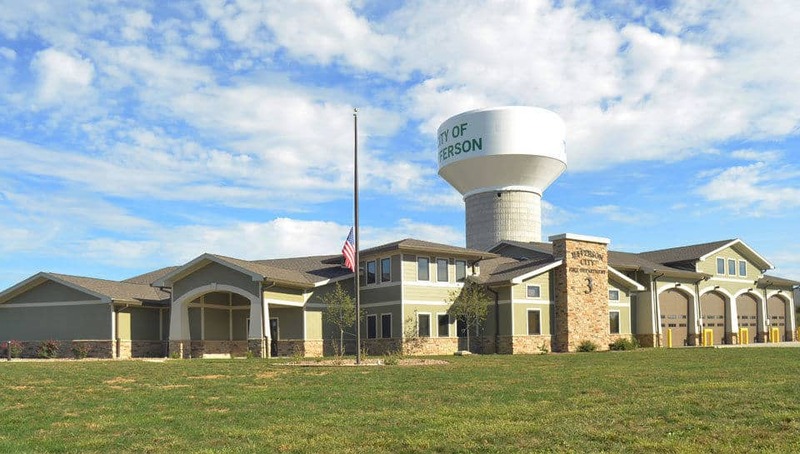 3 - Jefferson City, MO - PWArchitects, Inc.
Having outgrown the previous fire station No. 3, which was built in the 1960s, the Jefferson City Fire Department required a new station that would be better located and equipped to serve the community’s needs. The department required a facility that could be used for training and public education as well as a staging area for firefighters. The new 12,826 sq. ft. fire station on Rock Hill Road in Jefferson City is a 1 story, 3-1/2-bay Craftsman-style building with two small mezzanines in the apparatus bay for storage. The $2.33 million station has offices, living quarters, workout and training rooms, and a small hardened backup 911 call center.